LatAm-Threads: Was Simon Bolívar "the" Libertador of Venezuela? The first question one could ask is: Was he really "the" liberator of Venezuela (at the time called Capitanía General de Venezuela)? I think not, because his final successful attempt was a joined effort of Bolívar and José Antonio Páez and I even would say that Páez deserves more credits. Venezuela eventually achieved independence in 1821 after 20 years of revolts, Spanish suppression and civil wars. Venezuela was lead to independence by the efforts of Francisco de Miranda, Simón Bolívar, Rafael Urdaneta, José Antonio Páez and Antonio José de Sucre. 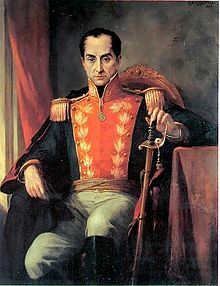 Francisco de Miranda made the first attempt to break away from Spain on July 5, 1811 by declaring Venezuelan independence and establishing the republic for only the Caracas region. An arbitrary constitution was introduced that abolished African slavery, but also limited citizen rights to many free blacks and pardos (mulatos). Therefore many free blacks and pardos joined the Spanish loyalists. The 1812 Caracas earthquake did destroy Caracas and killed lots of patriots, while the Spanish loyalist regions of Venezuela that were not part of the republic weren't damaged. De Miranda's forces failed to concur the loyalist regions and finally de Miranda was defeated and he surrendered in 1812. And so the First Republic died a short year after its birth. De Miranda died in 1816 in a Spanish prison. 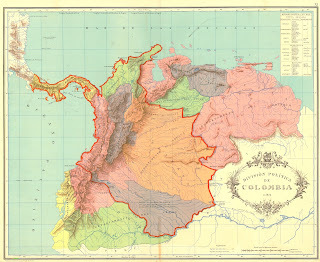 De Miranda's visionary plan to liberate and unify all of Spanish America was later adopted by Bolívar in his plans for "Gran Colombia" and the Andean Federation. Bolívar who already served as lieutenant colonel in de Miranda's struggle, made three other attempts to re-establish Independence after de Miranda's failure. 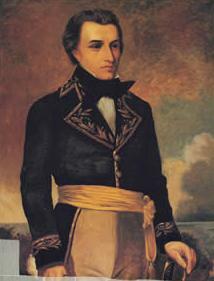 First Bolívar left Venezuela for Colombia to join republican forces in Nueva Granada (at the time called Virreinato de la Nueva Granada). He re-entered Venezuela with 650 men to fight the Spanish. His army was quite successful, grew considerably and in 1813 he recaptured Caracas. Several battles with the Spanish (and their Venezuelan allies) followed, but in the end he was defeated. Bolívar overlooked the aspirations of common, nonwhite Venezuelans. The llaneros (plainsmen), who were excellent horsemen, fought under the leadership of the royalist caudillo, José Tomás Boves, for what they saw as social equality against a revolutionary army that represented the white, criollo elite. By September 1814, having won a series of victories, Boves' troops forced Bolívar and his army out of Caracas. Bolívar left the country, heading for Cartagena (Colombia) where he managed to get new troops to fight the Spaniards again in Venezuela. Unfortunately the Spanish reinforced their troops in a massive way, so Bolívar lost and sailed for Jamaica leaving Venezuela in ruins. Many Venezuelans fled to Nueva Granada (Colombia). The Spanish subdued both Venezuela and Nueva Grenada again in 1815 and cleansed the country of patriots. Bolívar was trying to find monies in Jamaica to finance a new attempt. He even suggested that the British could have Panamá (then part of Nueva Granada) and Nicaragua (part of Capitanía General de Guatemala at the time) in return for their military aid, but the British wouldn't bite. Bolívar managed to get some material support from Haiti in return for the promise for the freedom of all slaves in any territory they liberated (Bolívar didn't keep his promise after his final victory though). Bolívars second attempt was in 1816 when he invaded the island of Margerita, trying to get a foothold on the main land. He didn't succeed either. Bolívar's third attempt was to invade through the Orinoco river. Bolívar still didn't have much support of the population, because he was representing the interests of the Criollos (Spanish Whites born in the colony). The Pardos (Mulattos), who outnumbered the Criollos by far at the time, thought that nothing would change if the Spanish were replaced by the Criollos in a new regime. Not to mention the Indians, free Blacks and slaves, whose rights were completely left out of the war of independence. Never the less a pardo who made it to General in Chief (! ), Manuel Carlos Piar, an outstanding tactician and who fought together with Bolívar against the Spaniards, stood up for the rights of the Pardos. And when Bolívar rejected Piar's views, Piar even tried to incite opposition to resist the Spanish and revolutionary Criollos. Therefore Bolívar did arrest Piar and had him executed. During Bolívar's third attempt, he got the indispensable support of General José Antonio Páez, a caudillo who implemented a strategy of swift hit-and-run attacks combined with a scorched earth policy. Very unheard of at the time but never the less extremely successful. Because of Páez' successes, Bolívar was able to recruit more troops, to get more monies from British merchants and he was able to hire discharged British soldiers. Halfway the mission, Bolívar decided to head for Nueva Granada and leave the struggle for Venezuela to Páez. Because of the Riego Revolt back home in Spain, King Fernando VII was forced to restore the liberal constitution and rule as a limited monarch. Therefore no more new Spanish troops were send to the colonies. Páez and Bolívar could finish their job in July 1821 with the exception of a few forts and coastal areas. Summary: One could conclude that the final successful establishment of the 3rd Venezuelan Republic was largely funded by British merchants (who realized that a liberated Venezuela could be very profiting for their trade) and was initiated by a Venezuelan aristocrat whose goal was to establish an independent liberal republic, run by himself and the country's elite (criollos), so the elite would be freed from Spanish dominion and relieved from Spanis taxes. Bolívar's attempts resulted in a long lasting civil war. The founding of a republic could only be achieved after several attempts of which the final successful one was with the help of large numbers of British mercenaries and merchants. So he did liberate the Venezuelan elite from Spanish dominion together with Páez, but he didn't liberate the Venezuelan people from the ruling elite. Bolívar admired Voltaire and Rousseau and he often spoke and wrote about their ideas. For instance in texts such as the Carta de Jamaica and the Discurso de Angostura. But if you take a close look at all of Bolívar deeds, one must conclude that he was an essayist, a military leader and a liberator, not a revolutionary or a statesman. Karl Marx didn't think much of Bolívar. Bolívar just wanted to break from Spanish dominion but didn't have a working follow-up plan to build a new nation and to unify all of the Venezuelan people. As determined by the 1821 constitution, by far the greatest part (97%) of the Venezuelan people didn't have active or passive voting rights and was therefore excluded from the elite republic. The elite was very divided (centralizers/federalists) and that's why Bolívar thought he needed strong powers as a president. On the other hand the rest of the population was very diverse and unorganized. So it was a very difficult task (if not impossible) to build a unified nation after the liberation. In retrospective one might think it would have been better if Bolívar would have tried to unify the Venezuelan people first (for instance with the help of Manuel Piar), before trying to break away from the Spanish. Did Bolívar bring democracy to Venezuela? Not really. For a start Bolívar didn't think democracy like in the USA, was possible in South America. Therefore the Gran Colombia constitution that Bolívar implemented in 1821 was a weak one that left strong powers to the president and laid a solid foundation for oligarchy to arise and flourish. Like many in the aristocracy, Bolívar had slaves and in the spirit and excitement of the independence movement he repeatedly stated that he was against slavery. He set his own slaves free, but only in 1820. Laws providing for manumission (not abolition) were enacted in 1821 but unfortunately not fully enforced. Only literate male citizens older than 20 years of age, that owned more than 100 pesos in landed property or had an equivalent income from a profession were allowed to vote. A candidate for the house of representatives who did not own land worth more than 2,000 pesos or had an income less than 500 pesos could not be elected. Also the president had extraordinary military powers. So Venezuela got a government that existed of the elite and was chosen by the elite. Bolívar himself was a strong centralist. Bolívar’s republic had in theory a strong central government with provincial governors. It was torn from the very start between centralizers and federalists. As a president he continued to fight for the liberation of Bolivia, Peru and Ecuador together with the Libertador José de San Martin, therefore the executive power was wielded by the vice-president Santander. In 1828 a new constitutional assembly, the Convention of Ocaña, was organized to discuss an even more conservative constitution but it remained undecided. 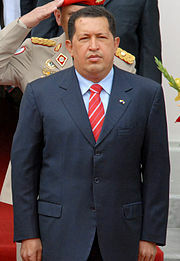 Bolívar entertained ideas of a lifelong presidency and even an Andean Federation, which the opposition couldn't agree upon. So, Bolívar made himself officially a dictator of Gran Colombia by means of a "el Decreto Orgánico de la Dictadura". As a consequence of this the Venezuelan congress seceded him from Gran Colombia and appointed Páez as Venezuelan president in 1830. Bolívar was not allowed to set foot in Venezuela ever again, he resigned his presidency of Gran Colombia in April 1830 and died on December 17, 1830, 47 years old. What happened to Venezuela in the years after Bolívar had died? After Bolívar had died the rest of Gran Colombia fell officially apart in 1831. Venezuela got a new more liberal constitution in 1830 where slavery was allowed to continue again(!). During and in between Páez' presidencies (1831-1842) lots of nation building efforts were done, but also the oligarchy got a very strong foothold. Foreign relations with the US became very harmonious. However, regional landowning caudillos (warlords) and federalists tried to limit the centralized powers of the ruling elites. Eventually the frictions between federalists and centralizers lead to the 1858-1863 (civil) Federal War, which was initiated by local caudillos. Venezuela lost 11% of its population in those five years and the country was taken over by caudillismo. Democracy would only start to evolve 100 years later. There were only 16 years of peace in the whole of the 19th century and on average one act of war per month during the whole century (no typos here...). Leaves us the questions why Símon Bolívar is such a great inspiration to Hugo Chávez and why he never stops to mention him in public? And why he chose the to rename Venezuela's official name into República Bolivariana de Venezuela? And why he chose to coin his new socialism Revolución Bolivariana. Is he an admirer of his military leadership? Or is Chávez overwhelmingly impressed by the liberal elite "republic" (or oligarchy) that Bolívar established in Venezuela?